“We want to make a difference. Please accept us for who we are … individuals who want to have fun! Crazy, unique, loud, boisterous, friendly, happy, loving, caring and one BIG family. 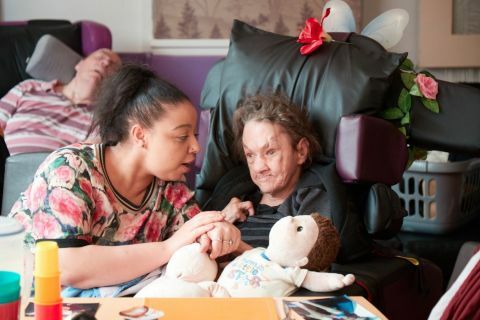 In Catherine Tam House our family are young ranging between 18 and 65 and live with a physical or learning disability. Life is busy and every day there are trips out in our minibus to access the local community and, at home, involvement and occupation are central.